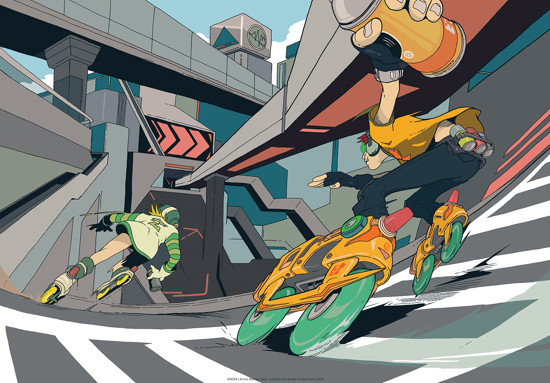 Jet Set Radio remains one of the most uniquely designed video games to date. 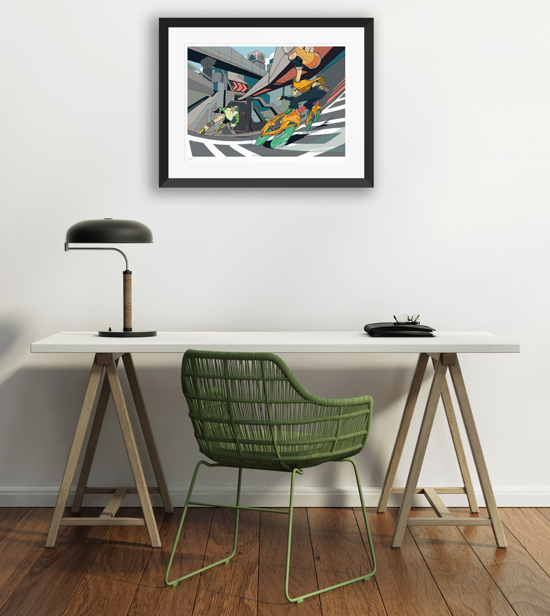 To celebrate that design, Cook and Becker worked together with Japan-based illustrator Daniel Isles, aka DirtyRobot, to capture the hallmark style of Jet Set Radio in this officially licensed, limited edition fine art print. Jet Set Radio (2018) by DirtyRobot depicts two Rudies from the game, Beat and Gum, “riding high on a smooth stream of supersonic sounds” from Jet Set Radio’s DJ Professor K through the streets of Tokyo-to. Spray can in hand, these characters with their Netrium skates are in the midst of their mission to claim their turf by tagging as many walls as possible.